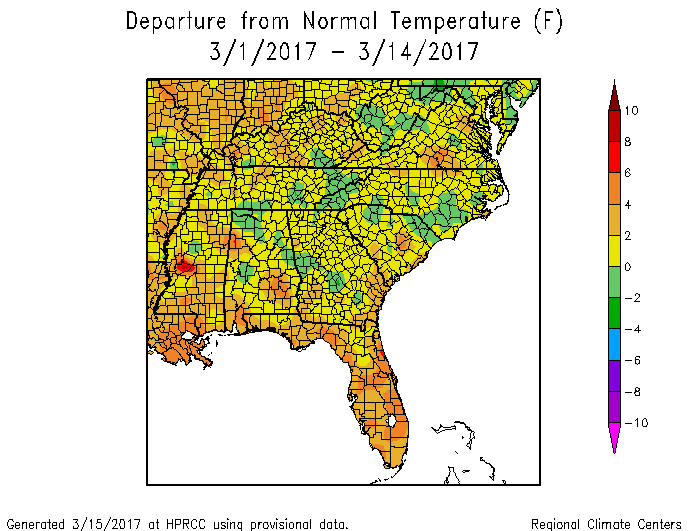 For the month of March so far, conditions across the Southeast have generally been warmer and drier than normal, although the cold spell this week should bring temperatures back closer to average. 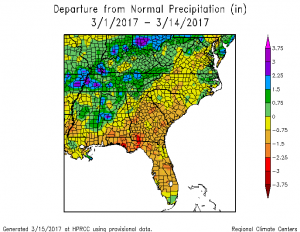 Once this cold outbreak passes, we are expected to go back into above normal temperatures with an increased chance of wet conditions in northern Georgia and surrounding areas, continuing the pattern we have seen so far this month. 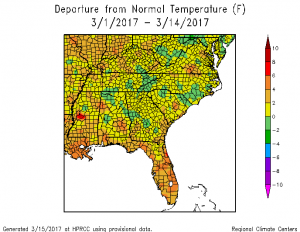 Next: How did your frost-sensitive plants fare?